WASHINGTON — D.C.’s thriving nightlife is causing congestion and poses safety hazards near Dupont Circle, which is prompting new parking restrictions. 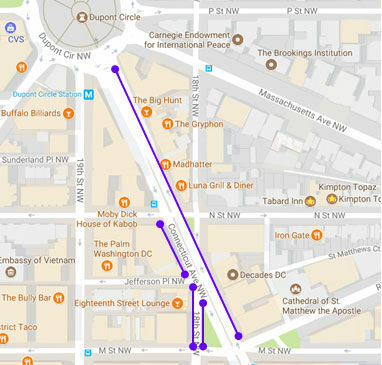 “Nighttime activity over there — Thursday, Friday, Saturday nights — is extremely heavy with vehicle and pedestrian traffic below Dupont Circle,” said Terry Owens, public information officer for the District Department of Transportation. With nightclubs, bars and restaurants nearby, narrow streets that carry vehicles and pedestrians across the circle are overwhelmed on weekend nights. The danger is increased when customers who may have been drinking walk out from between parked cars. “So, to avoid conflicts we want to create some curb space that allows safe drop-off and pickup zones,” Owens said, referring to people using taxis and ride-sharing services. 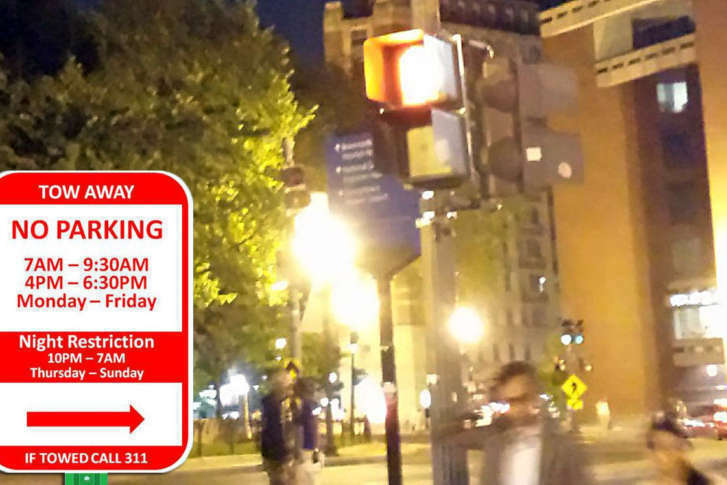 Starting Thursday, Oct. 19, parking will be prohibited on Connecticut Ave. NW, from Dupont Circle south to Rhode Island Ave. and M St. NW, on Thursday, Friday, and Saturday nights, between 10 p.m. and 7 a.m.
“We want to see if we can more effectively get vehicles in and out of that area, and have pedestrians able to move without the danger posed by some of the heavy vehicle traffic,” Owens said. The program, created and implemented by DDOT, the Golden Triangle Business Improvement District, the Metropolitan Police Department and D.C.’s Department of Public Works will be evaluated after one year. Owens says DDOT and MPD will enforce the nightlife restrictions, which could include ticketing and towing.